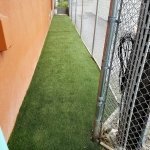 With over 500+ K9 Pet Relief areas installed across the nation, AirDrain Drainage is the ideal artificial grass drainage system used in dog day care facilities, pet playgrounds, airport dog potties and general use common areas, for dogs all across America. 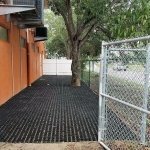 Made with 100% post industrial recycle content AirField uses the highest quality materials for the AirDrain Geocell. 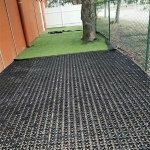 With a 1 inch high 92% air void space underneath your synthetic turf. 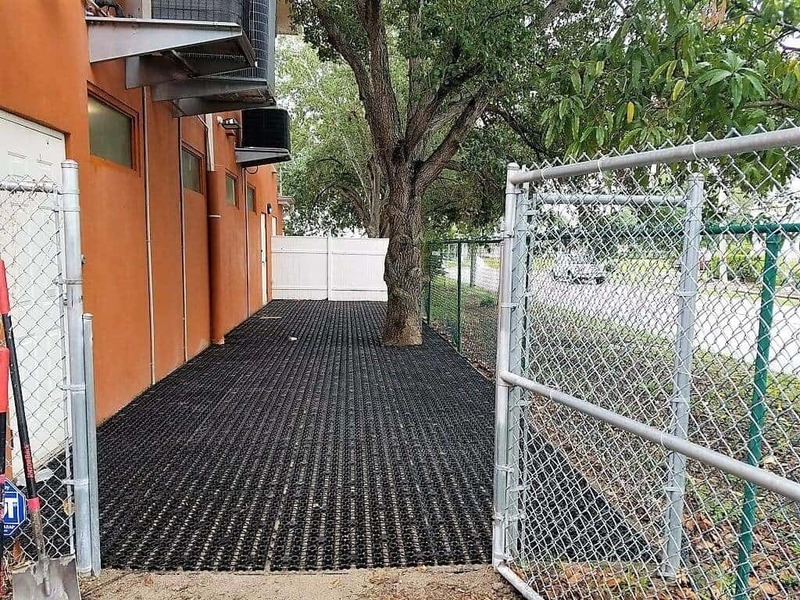 You are able to wash away any unwanted waste left behind if needed by installing a flushing system around the perimeter of the grid. 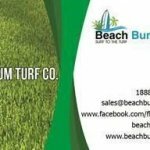 This system is easily installed and attaches to any water source with inexpensive pvc or rubber piping. 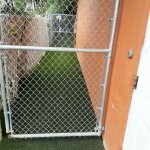 Low cost, easy to install, DIY drainage, makes AirDrain the ideal synthetic grass drainage system for kennels, dog boarding and pet facilities, dog parks, vet clinics, and even in your own backyard. Helps provide a surface area that looks and feels great to the dogs! 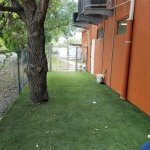 Pet play areas are installed every day in public and private facilities across the world. 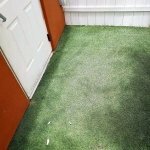 Whether you utilize natural or artificial grass, the AirField System is a stress-free way to turn any common space into a fun place for people and their beloved K9 friends.